Julian Jost is CEO and founder of Spacebase. Julian Jost’s career path was clearly plotted when he started his studies, and he’s followed it ever since. As a business and management graduate, his professional life began as a strategy consultant with Roland Berger Strategy Consultants. He was particularly successful in the areas of business development and project management. However, his experiences showed him how inefficient and uncreative the collaboration and meeting culture in companies could be. He began to organize multiple creative workshops for clients in exciting environments and discovered the potential that lies in the optimization of business events. As a born entrepreneur, he quickly decided to follow his ideas. 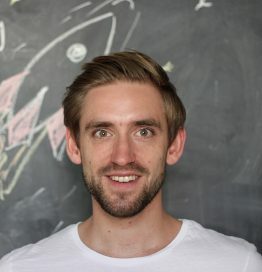 After finishing his MBA at Oxford University, he left the consultancy and started Spacebase (www.spacebase.com) in 2015, the worldwide booking platform for outstanding meeting and event locations. Spacebase enables companies to easily and transparently book unusual meeting locations, host creative events and save valuable time while organizing. Today, the Spacebase portfolio offers over 2,500 meeting locations in more than 30 cities across 12 countries. Together with the well-known industry expert and travel veteran Stephan Ekbergh, he is changing the way we meet. His vision is to facilitate the right location and the right surroundings to create more flexible, more efficient, and more creative meetings, workshops, and events. With an eye for untapped potential, Jost and his team have made thousands of unconventional and previously unexplored locations available for meeting and workshop rental. His passion and entrepreneurial skill make him a force to be reckoned with; in fact, Spacebase is helping to form the meeting industry’s newest and most contemporary sector of offsite meeting locations. The Berlin-based start-up has been recipient of some of the meeting industry’s most treasured awards, such as Eye for Travel’s Start-up of the Year in 2015 as well as Web In Travel’s Start-up of the Year in 2014. Spacebase is definitely a company to watch as the meeting industry goes digital and the trend of unique meeting spaces continues to grow.